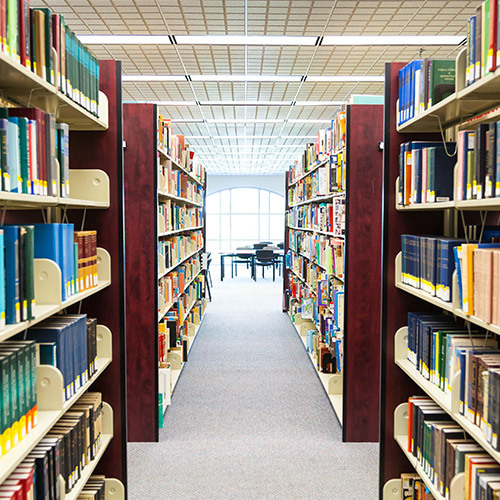 Library Management System is integrated software that manages the coherent catalog of a library. Specially designed and developed by eTCS, one of the prestigious software companies in India, UAE, Middle East & USA. It is customizable, easy to use software that caters all the needs of the librarians of the schools, colleges and universities. 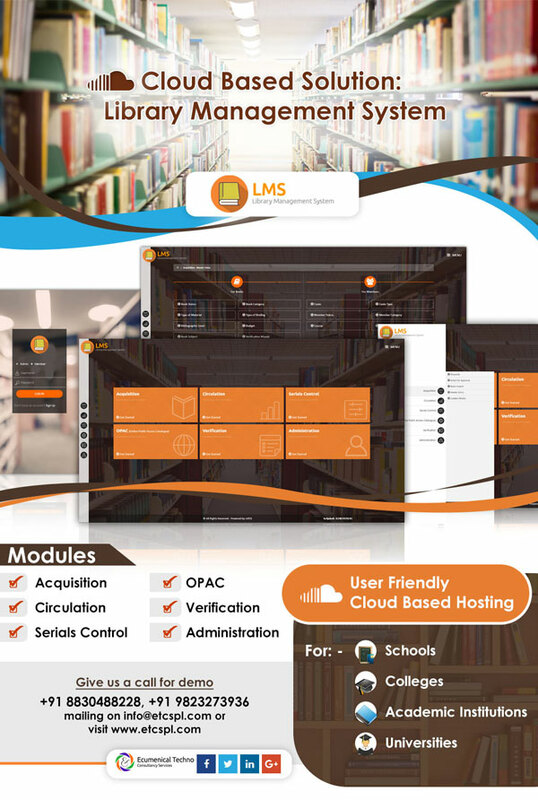 Being a cloud based library management system it can keep and maintain the complete track record of the available as well as issued books in the library. Master Entries are made in this section for books and member data. Group/Bulk edit of books or members is also provided. Multiple reports are available in this module. These are useful for Daily reporting like daily issue return report, fine collection, list of defaulter members(books not return after due date) and many more. Other reports are also available for the use of different committees. Book Barcode Label Printing, Member Barcode Label printing for operational accuracy on day to day note. Approval module for list of new books to be procured as requested by library members/staff/students. This module is the most frequently used in any library. We have taken care of Ease of use for Librarian/Book Issuer with a very friendly User Interface. Auto population of details of book and member upon scanning Barcode Label at the time of Issue/Return. 3 step issue of books and 2 steps while returning the books. Fine Collection from Members for Overdue Book issue/return as per Customized member issue limit (as per member entry form). Three types of issue/return of books (Weekly, Reading room and Book bank issue/return). Check Fine amt and Books Overdue for Return for NOC in the academic year. Most Useful Module for all members/students/staff. In this module any member can search for books: by title, author wise (and many more options). The member will be provided with rack and shelf number, availability to avoid delay and improved time savings for all. (This system will be available on mobile app). Dedicated Administrative Search options for Librarian and Issuer to pull details of members & Issue/Return search. Member details / Book Details on tip of fingers, in seconds. Administrative Issue/Return search between dates is available Librarian can get data of issue books (daily, weekly, monthly basis). Printable reports for the same are also available. New Book Request form available for members. This allows members also to request the for New Arrivals/Latest books. Subject to Management approval.